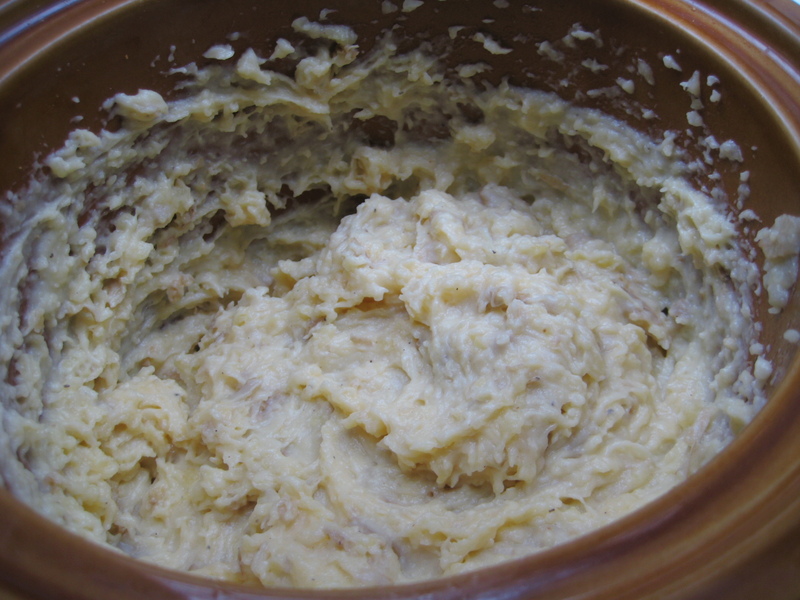 Crock pot creamy homemade mashed potatoes for July 4th! Homemade mashed potatoes intimidated me. They seemed time-consuming and tricky, something I wasn’t capable of making. Boy, was I wrong! This takes very little effort for an end reward. 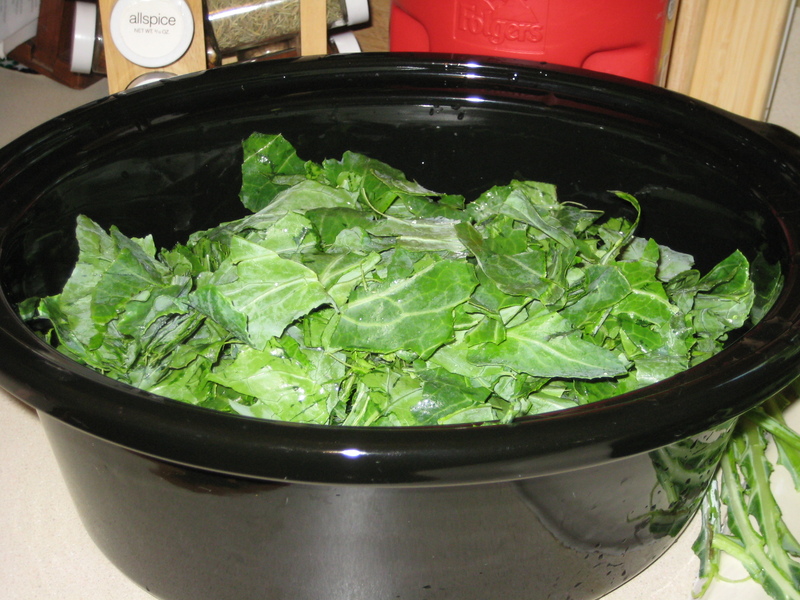 I normally make my collard greens the way mama taught me. 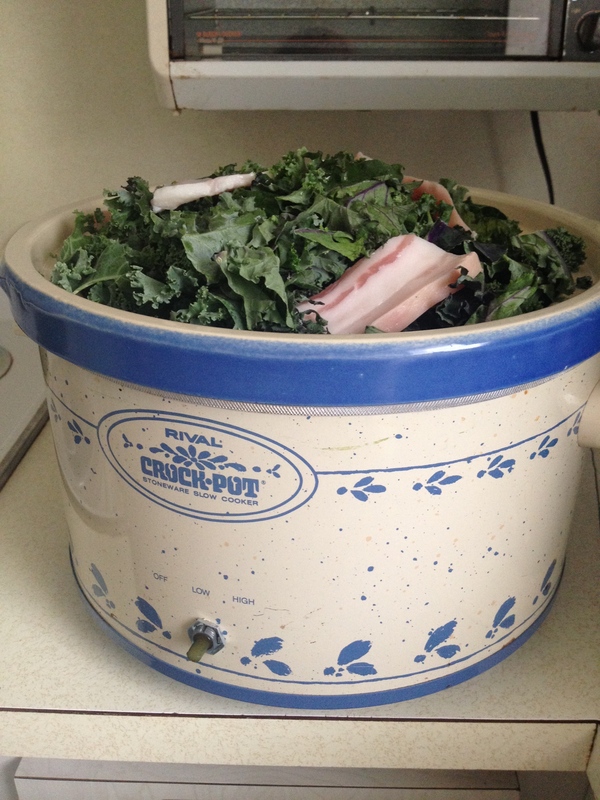 Two bunches of collards, 1/3 cup of water and a ham hock. Stir them every time you think about it—-6 hours on low on the stove. This works. They are scrumptious. I’ve tried flavoring with ham hock, pork neck bones, turkey necks, turkey wings, chipped pieces, onion, green bell pepper, celery, and every spice you could think of. 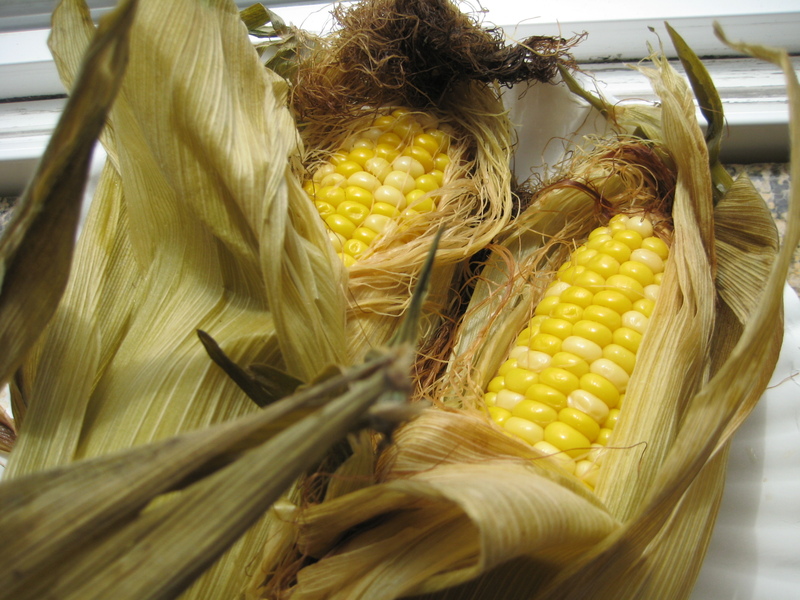 But mama’s recipe remains tried and true. For the fun of it though, I thought I’d try something different.